Islam is the religion of the vast majority of Sudanese, and has been a key part of Sudanese politics since the Mahdia era. Numerical dominance does not, however, mean that there is a consensus regarding the role of Islam in politics and power. There are differences between parties that adopt Islamic positions. Before the rise of political Islam in the mid-1970s, the military government of General Aboud sought to Arabize and Islamize southern Sudan in the early 1960s, as a way of creating a national identity and restricting the rebel movement. The emergence of the Sudan People’s Liberation Movement (SPLM), a party initially founded in 1983 as the political wing of the Sudan People’s Liberation Army (SPLA) in mostly non-Islamic South Sudan, and the proclamation of sharia law in the same year, brought identity to the political forefront. The government in Khartoum has since been associated with Islam and Arab descent and culture, in contrast with the SPLA, which is associated with Africanism, indigenous beliefs, African culture and, to some extent, Christianity, in the eyes of the southern elites. Many non-Arab ethnic groups in northern Sudan, particularly in the Nuba Mountains, the Ingessana Hills, Darfur in the west and Beja in the east, began to realise that the boundaries of socio-economics and development were indistinguishable from ethnic and cultural boundaries, with the Arabic-speaking Muslims of central and northern Sudan dominating both. This realisation triggered a national identity crisis. The famous Black Book, believed to have been published in 2002 by the JEM, a Darfur rebel group, detailed the extent of the imbalance of power and the distribution of wealth in Sudan, and how the less populated north dominated the south politically and economically, including in recruitment into politics, the civil services and the army. 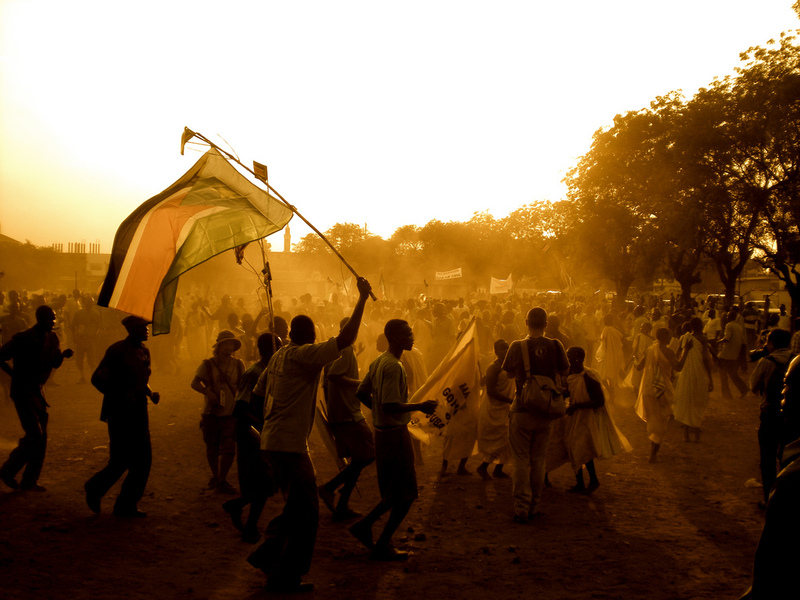 The identity crisis contributed to a flare-up in ethnic tensions and armed conflicts at the marginalised edges of the country, leading to the secession of the South in 2011 and the continued civil war in Darfur, the Nuba Mountains and the Ingessana Hills in the southern Blue Nile province. Many intellectuals, even among the dominant northern elite, began to question the issue of national identity and the authenticity and practicalities of insisting on being an Arab country and forcing an Arab Islamic identity on the Sudanese people. In addition to the horrors of civil war, many northern elites began to reconsider their Arab-ness after hundreds of thousands of Sudanese expats in Saudi Arabia and the Gulf states were confronted with discrimination, being rejected as Arabs because of their dark skin, despite being devout Muslims and speaking Arabic well. The issue of national identity in Sudan has become an entrenched part of the debate around politics, war and peace, unity and disintegration. The Islamic government in Khartoum has begun to accept this and to make it a part of its political agenda. Acknowledging the cultural and ethnic diversity of the country and recognizing and respecting other languages, cultures and ethnic groups will be a key factor in achieving lasting peace, and the only guarantee that no single ethnic or cultural group exploits religion and language to their socio-economic advantage.